Quantum Break, the newest game from Finnish studio Remedy Entertainment, is a science fiction story that centers on what I personally find to be the most terrifying science fiction concept: time travel. The protagonist of the game is Jack Joyce (played with hyperreal facial motion capture by former Animorph Shawn Ashmore), and the key mechanic is centered around Joyce’s manipulation of broken time. It’s the stuff of superhero stories, and from the marketing materials and prerelease buzz it seems like it all came together as an easy, coherent whole. There’s an effortlessness in the trailers and footage that really makes Quantum Break look impressively mechanically and narratively integrated from top to bottom. This was something I was really keen to know about when I spoke to Remedy’s Creative Director Sam Lake about the game. In a stumbling way, I asked him about how the various wide pop cultural references that Remedy is known for (like the Stephen King meets Twin Peaks of Alan Wake) come together. Is it a big narrative timeline? Or maybe a giant vision board? It seemed to me that Remedy’s games, with their very specific flavors, emerged as complete units from the minds of the designers and developers. While many game studios have their own particular internally developed tools and processes that feed into a cycle of narrative and technical development, Remedy’s unique process has tended toward producing things that are further from the mainstream in both narrative tone and mechanical innovation. Whether you love them or hate them, it is undeniable that there is something very particular about Max Payne, Alan Wake and the unique studio voice that produced those games. I think this “Remedy process” that Same Lake mentions is the apex of what videogames, in their contemporary form, can do. We live in a world where the creation of new intellectual property is a kind of totalizing mandate, and creating that intellectual property whole cloth is a way to branch out and diversify the kinds of products a company can sell. Sadly, most of the time that comes from games delivering familiar story structures (like the Hero’s Journey) within very familiar formats. The real value of the Remedy process in the way that Lake explained it to me is that it is about taking the essence of something very familiar and warping it through the iterative mechanical and narrative generation process. Getting from “hard-boiled detective” to Max Payne is a radical shift, but it is one that feels familiar and complete nonetheless. That isn’t to say that there aren’t some surprising leaps and bounds in Remedy’s development process. Quantum Break is comprised of two different narratives: traditional television-style episodes telling the story of the antagonist and the narrative of the videogame itself. Each of these narratives impacts the other, and this parallel structure was stumbled on as a big leap forward that fueled a large chunk of development. 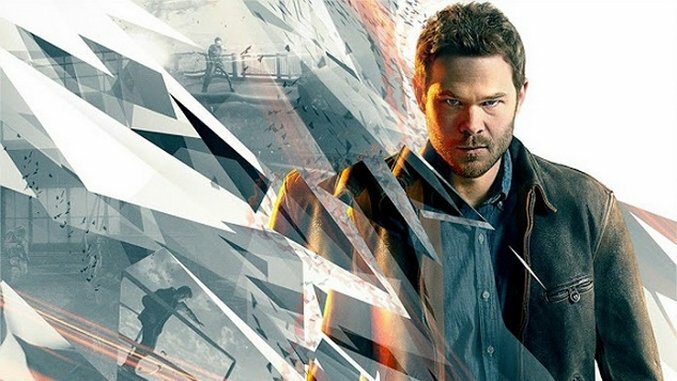 In contextualizing Quantum Break within the history of Remedy’s work, Lake explained to me that it is “a mix of old and new” that “brings in a mix of new elements.” That’s always a tricky turn of phrase when it comes to a game about time travel, and it seems that the elements that Remedy have melded together will be yet another unique take on third-person action we’ve come to expect from Remedy. Watch a trailer for Quantum Break.